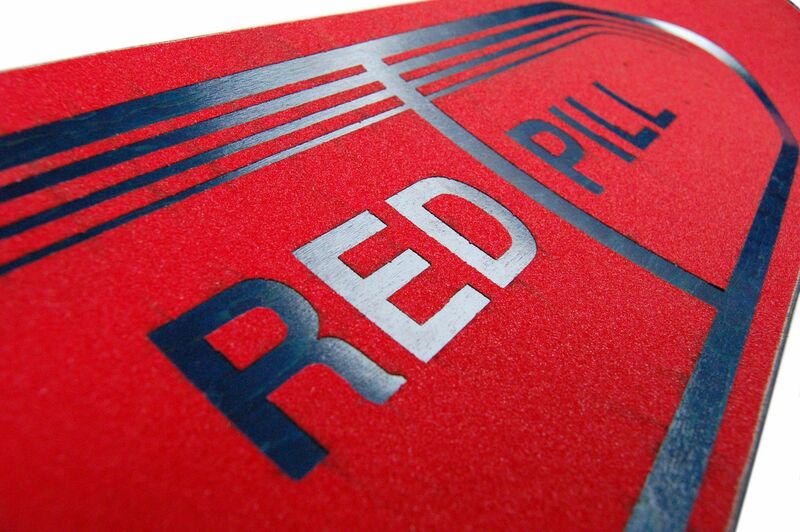 Inspired by the scene Red Pill Blue Pill scene from the Matrix film, I created this concept deck, making good use of the red griptape. This was the first griptape I cut on the reverse side, allowing me to cut through the adhesive backing while perforating the griptape.The laser power was set a little too high, resulting in scorch marks where the residue from laser cutting wood was burnt on the slats beneath. 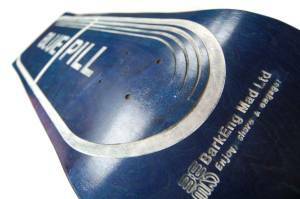 This laser cut griptape was designed and cut to complete a laser engrave blue pill stain deck design.